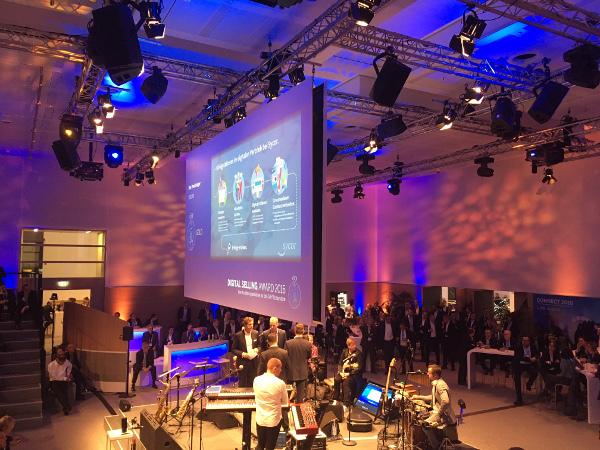 Be part of live business – While the awareness for digital transformation was already the theme of the 2015 edition, SAP took digital revolution at this year’s CONNECT 2016 – SAP Partner Summit, to the next level: What, in reality, is live digitalization for SAP customers and what does it imply for SAP partners themselves? 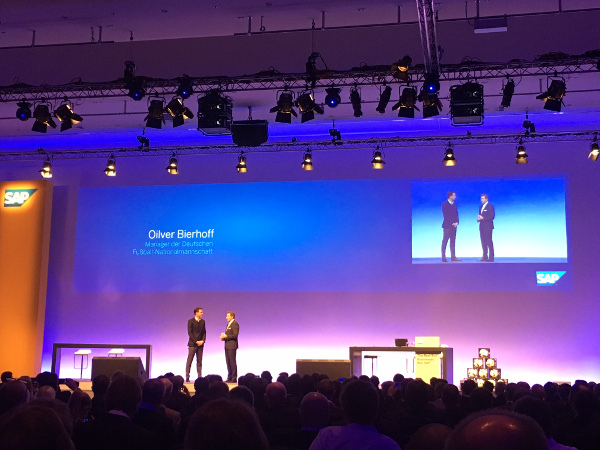 This year’s SAP CONNECT Partner Summit in Frankfurt/Main scored with a keynote from Oliver Bierhoff, the manager of the German’s national football team, presenting their usage of the SAP Sports One to prepare for their matches and drive player performance. It’s been a real eye – opener for me – even as a non-football enthusiast – to get to know how the performance of players is tracked with sensors and matched with game data to evaluate situations and develop or adjust game strategies. 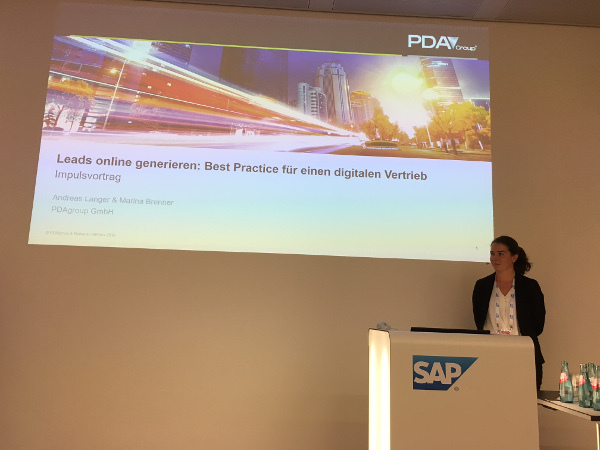 Also other showcases and use case examples from SAP highlighted how digital transformation is progressing within midsized companies in the DACH region. Since SAP CONNECT 2016 is a summit for partners also, SAP provided them with a look into how their daily practices in sales and marketing are becoming more and more digital. Practitioners commented on their live experiences and gave deep insights into their approaches. We identified all three best practices in the course of our service Digital Health Check, in which we conduct an expert audit to provide a comprehensive rating of the effectiveness of SAP partner’s website and social media accounts in supporting their sales efforts. This year’s SAP CONNECT Partner Summit definitely scored with a wide variety of hands-on breakout sessions and forum discussions where practice owners and experts shared their experiences, business cases and best practices – all focusing on digital transformation. Get in contact with us to find out more about how the Digital Health Check can improve your day-to-day business! I advise sales professionals to pay attention to the trend of social selling, as buyers’ awareness building, consideration of solutions and vendors are shifting online. To succeed in the future, sales reps must opt-in for social selling. This article was written by Marina Brenner, MA. 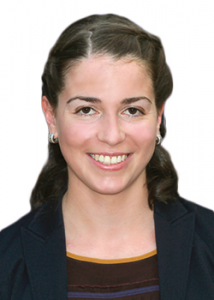 Marina Brenner is a product and project manager at PDAgroup GmbH. Her consulting focus is the digital transformation of businesses, including marketing and innovation management. Together with clients she develops innovative strategies to solve their challenges and achieve sustainable revenue growth.